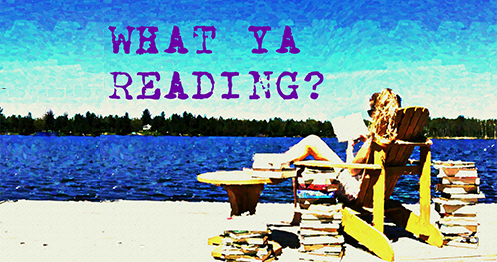 Review of Unwind by Neal Shusterman | What YA Reading? In a society where unwanted teens are salvaged for their body parts, three runaways fight the system that would “unwind” them Connor’s parents want to be rid of him because he’s a troublemaker. Risa has no parents and is being unwound to cut orphanage costs. Lev’s unwinding has been planned since his birth, as part of his family’s strict religion. Brought together by chance, and kept together by desperation, these three unlikely companions make a harrowing cross-country journey, knowing their lives hang in the balance. If they can survive until their eighteenth birthday, they can’t be harmed — but when every piece of them, from their hands to their hearts, are wanted by a world gone mad, eighteen seems far, far away. Picture abortion. Not literally, I mean. Just… picture the concept. Now picture retroactive abortion. Picture abortion that occurs thirteen to seventeen years after the child is born. Picture abortion that isn’t death, exactly, but isn’t the continuity of life either. Picture abortion that’s not killing an unborn child, but rather taking a child who is already alive, and chopping them up into tiny little pieces. Picture abortion that is transforming teenagers into unwilling donors for organ transplants. Welcome to this dystopian US of A! We have recently perfected the art of grafting, so every foreign body part can be successfully transplanted into somebody else! Isn’t that great? Especially since unwinding has come into effect. See, now we’re hitting two birds with the same stone: we get rid of our annoying teenagers, and we have organ donors! Dang, we are smart! Connor is your classic high school bad boy. Risa is a state ward–and a victim of budget cuts. Lev is a martyr who hopes to die for an abhorrent cause. They’re all unwinds, destined to become mere body parts of someone else’s body. However, one can only imagine how such a group might… postpone their unwinding. But can they avoid it altogether? Unwind‘s major selling point is its creep factor; its premise is just so unimaginably horrible. Just think about it for a moment. Socially accepted, retroactive abortion is not something I would ever have thought of– and it’s not something that most would like to think about for a prolonged period of time. But Shusterman forces you to think about it. No, he forces you to think. Would we, as humans, ever be capable of such horrors? Could something like unwinding ever be government approved? And if it were, would it ever become a thoughtless process, one that is socially acceptable? Of course, you must answer these questions for yourself, but I think Unwind‘s following quote pretty much answers them for you. Some people think the whole unwinding idea is far fetched and improbable giving humanity’s, you know, humanity. But the truth is that people often make life-changing decisions during heightened emotional moments. Of course, they regret their decisions, but at that point it’s kind of too late. Especially if they’ve already signed, say, an unwinding order. Connor is your typical high school bad boy. He gets into fights, had remarkably bad grades before he ran away, demonstrates rebellious behaviour, and so on. Despite this, I liked Connor. I mean, bad boys are great– but to a certain extent. Connor, thankfully, stayed within my bad boy limit. He learned to think before he acted, he used his fight swagger for the greater good, and he applied various strategic maneuvers during battle, such as the “Nice socks”. His theory behind this is that if someone actually looks down at their socks, he has won a small victory, at least. I like it. Oh, and just a warning: Connor has mood swings. Serious mood swings. But they’re worth it. Risa is a combination of street smarts and book smarts. Having been a state ward all of her life, which is to say that she was a sort of orphan, she has learned a couple of tricks. Risa’s pretty cool. I can’t say that I can relate to her all that well– her situation is just so unique– but I really enjoyed being in her head. Her withering glares and unconventional ideas are fun to read about. At first, Lev is happy to be a tithe. It’s his duty, it’s his destiny, it’s the only thing he has ever known for certain all his life. But when Lev accidentally goes AWOL, his whole world is thrown upside down, and he doesn’t know what to believe anymore. Lev is really easy to relate to and sympathize with. I mean, he’s a 13 year old kid who’s been taught that dying for the greater good is a privilege. He wants to be unwound. It’s horrible. But his trains of thoughts are also strangely riveting. The ending of this book freaked me out. I can’t really say anything more about it without spoiling the book for you guys, but the chapter about Roland– it’s freaky. Be prepared. 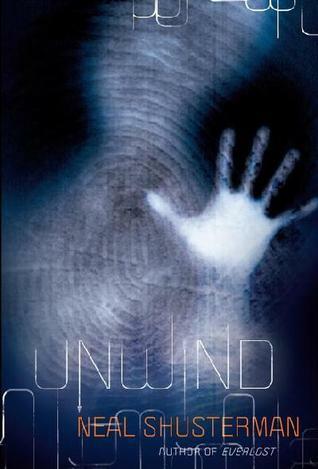 Unwind is 4.1/5 star dystopian. Not only will it make you think and question and scream, but this book’s message is true and important. It deserves to be read.